KC Eusebio is 29 years old and has been shooting competitively for 21 years. Shooting has always been in his blood, his first match was at the young age of 8. 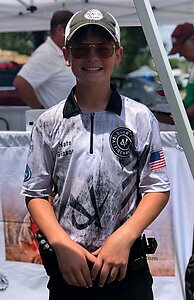 He became the youngest USPSA Master at the age of 10 and the youngest USPSA Grandmaster at the age of 12. By the age of 15, he was the youngest to ever win a world speed shooting title. Kolby Pavlock was born in Boise, Idaho and currently lives in Kuna, ID with his mom and sister. He began hunting at age 3 going out with his dad, then at age 10 started bird hunting, and at age 12 started big game hunting. Kolby attends the College of Western Idaho and is working towards an associate's degree in Machine Tool Technology. He has been able to maintain a 3.75 GPA or better through school and plans to start his own business in the future, building custom guns. Kolby began shooting competitively when he was 12, competing in rimfire and 3-Gun. He then started shooting USPSA a little after. Competing mostly in USPSA and rimfire matches this year. He loves competing in shooting sports and desires to continue doing so for as long as he can. He currently shoots a Volquartsen 6" Scorpion for both Open and Limited, and a Lightweight rifle equipped with the Volquartsen Inferno Chassis, XS Ghost Ring Rear Sight, and HI-Viz front sight for rimfire matches. He is currently a Grand Master in Limited and Open in USPSA, and also in 7 different divisions for Steel Challenge. 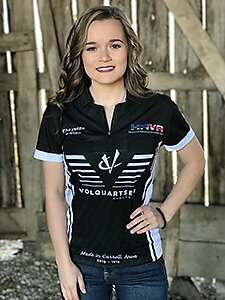 Kolby is excited to have the opportunity to continue representing Volquartsen in 2019 "I will represent them on and off the range to my best ability. 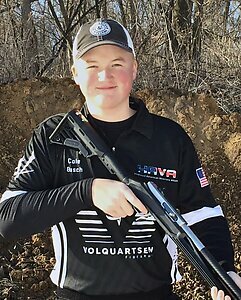 Volquartsen rifles and pistols are top notch and I am blessed to be shooting them in competition," added Kolby. Cheyenne Dalton is a 16 year old homeschooler from Missouri. She started her competitive shooting career in 2014 and quickly earned several state level Rimfire titles. Her 2014 season was capped off by a High Limited lady title at the Rimfire world championship. 2015 was another great year for Cheyenne winning several titles including High Lady at the Alabama state Rimfire championship as well as an overall Title at the Wyoming state games. In 2016 she repeated again as High Limited lady at the Rimfire world championship. Cole Busch is 15 years old and resides near Cresco, Iowa. He began competitive shooting in late 2016 at an NSSF Rimfire Challenge event. 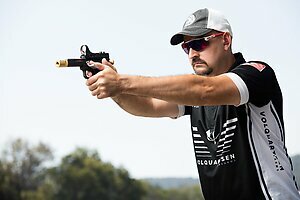 While his focus is Rimfire Challenge and USPSA Steel Challenge he also enjoys competing in USPSA Production handgun and Pistol Caliber Carbine. Nate is 14 years old and resides near Dysart, IA. He first started shooting guns when he was 7. He started shooting competitively when he was 12. The match that really got him excited about the sport was the Iowa State NSSF match in 2016. He enjoys having conversations with his fellow competitors and helping anyone that is need during the match. 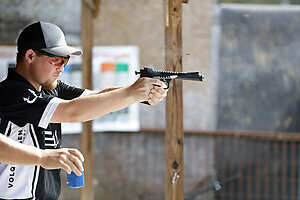 He now competes in Scholastic Action Shooting Program (SASP), USPSA steel challenge and RCSA. He managed to post the fastest time in SASP history in 2018. Some of the things he likes to do outside of shooting are playing basketball, riding ATVs and dirtbikes, hunting, fishing, and playing video games. Nate is an honor student hopes to attend a college with a steel shooting team. Fifteen-year-old Chase Orr live in Bowdon Georgia. He began shooting in 2014 with family friend, and Volquartsen Team member, Ron Oliver. Chase travels nationwide to compete in Rimfire and Steel Challenge events, and has just recently began shooting USPSA and 3 Gun. 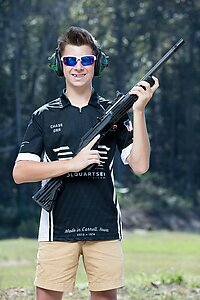 He has earned a Junior World title in Rimfire Challenge, and a Junior National title in Steel Challenge. When not at the range Chase enjoys spending time with his family and friends at the lake, fishing, and golfing. He is an honor student and hopes to attend the University of Florida. Ron has always been an avid shooter, starting like most at a young age plinking with his father. Over the years, he progressed into competing with shotguns in high school. Like most of us, life got in the way of the most enjoyable hobbies. Many years later, some friends invited him to join them at a shooting match after the loss of his father. It was life-changing; he had found something that was not only his therapy, but I have been able to help other shooters along the way. In 2010, just three months after his first match, Ron won his first state title and has placed in the top five in many more. 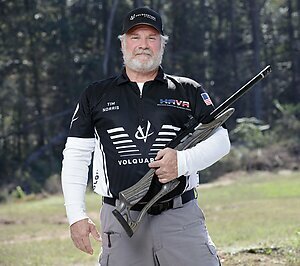 To date, Ron has won all four U.S. Steel Nationals in Rimfire Rifle and over twenty state and National titles. The first time Tim pulled the trigger was on a family camping trip in the mountains. It was the greatest thrill of my life up to that point and he was forever hooked on shooting. His Christmas gifts when I was 9, 10 and 11 were a .410 shotgun, a .22 rifle and .22 pistol, guns he still has today. Tim spent 6 years on active duty in the Navy and was exposed to everything from the 1911 to the M2 Browning. When he left the service, Combat Pistol competition was in its infancy and he jumped in with both feet. Tim is most active in Rimfire Challenge, USPSA Pistol and rifle. He loves to compete because it pushes him to improve and he get to hang out with some of the greatest people around. Tina has always been very athletic and participated in many sports. She grew up shooting, hunting, and fishing with her Dad and always loved to be outside in nature. Tina began her competitive shooting adventure after obtaining her CCW permit in the winter of 2016. Since then, Tina has fallen in love with competition shooting and has managed several great finishes in a short period of time. 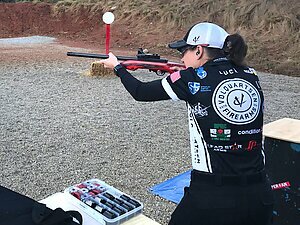 Tina participates in Rimfire Challenge, Steel Challenge, and USPSA matches.Tina wants to be a positive role model for young female shooters, promote the sport, grow the sport, help teach others about firearms safety, and just enjoy shooting!